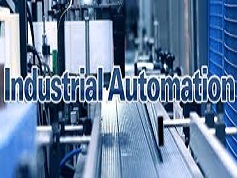 The purpose of this course is to provide the student with basic skills useful in identifying the concepts of automated machines and equipment and describe the terms and phrases associated with industrial automation. The student will perform preventative maintenance, identify or solve problems in machines and other technologies. Performance will be satisfactory when student can demonstrate competence in maintaining and troubleshooting technology includes identifying, understanding and performing routine preventative maintenance and service on technology, detecting more serious problems, generating workable solutions to correct deviations.